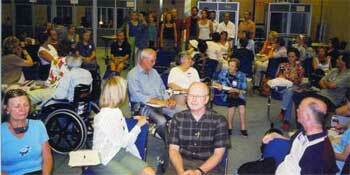 For twenty years, a group of spiritual seekers from many religious traditions met in various places around the United States under the rubric of the Snowmass Conferences to engage in the deepest form of interreligious dialogue. The experience was intimate and trusting, transformative and inspiring. To encourage openness and honesty, no audio or visual recording was made of, and no articles were written about, the encounters. When these encounters came to an end, it was agreed that reflections on what had happened emotionally, spiritually, philosophically, and theologically during the Snowmass dialogues should be written down. The result is The Common Heart. The world religions bear witness to the experience of Ultimate Reality to which they give various names: Braham, Allah, (the) Absolute, God, Great Spirit. Ultimate Reality cannot be limited by any name or concept. Ultimate Reality is the ground of infinite potentiality and actualization. Faith is opening, accepting, and responding to Ultimate Reality. Faith in this sense precedes every belief system. The potential for human wholeness - or in other frames of reference, enlightenment, salvation, transformation, blessedness, nirvana - is present in every human person. Ultimate Reality may be experienced not only through religious practices but also through nature, art, human relationships, and service to others. As long as the human condition is experienced as separate from Ultimate Reality, it is subject to ignorance, illusion, weakness and suffering. Disciplined practice is essential to the spiritual life; yet spiritual attainment is not the result of one's own efforts, but the result of the experience of oneness (unity) with Ultimate Reality. Prayer is communion with Ultimate Reality, whether it is regarded as personal, impersonal (transpersonal), or beyond them both.